Whatever it is that inspires your passion for travel - Oceania looks forward to welcoming you on board their newly re-designed, stylish and intimate ships. As a preferred partner for Oceania, our travel experts have the inside scoop on all the new changes so you can experience it like a VIP. OceaniaNEXT is the complete re-inspiration of Regatta, Insignia, Nautica and Sirena - essentially becoming four new ships in one dramatic refurbishment. Oceania's sweeping array of enhancements are so transformational, they are inspirational, elevating virtually every facet of their Regatta-Class ships to new levels. 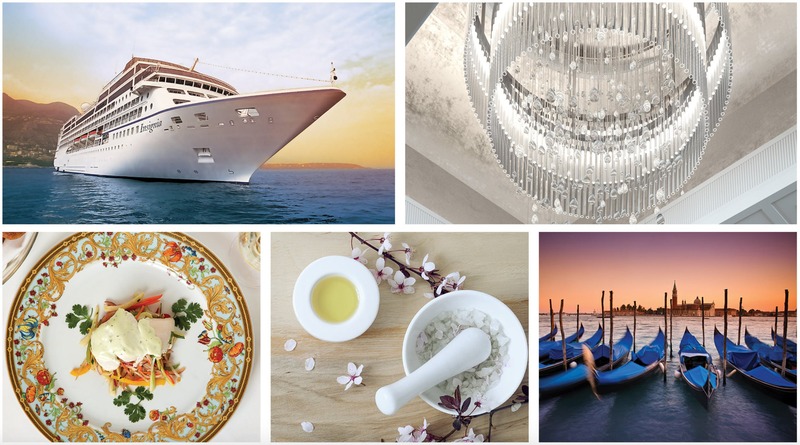 From thoughtfully crafted new dining experiences and reimagined menus to the dramatic re-inspiration of every detail aboard these iconic ships, every aspect of the Oceania Cruises experience is being enhanced in the coming months. This will be a ship transformation process without peer - and when completed the Regatta, Insignia, Nautica and Sirena will glow with a new sheen as crisp and polished as a flawless diamond. Every surface of every suite and stateroom will be entirely new. Public spaces will boast a refreshed color palette of soft sea and sky tones. Tasteful renewal of fabrics, furnishings and lighting fixtures will encompass the already inimitable style and comfort. Bejeweled new chandeliers will highlight the gracious Grand Dining Room and beckoning Reception Hall. The all-new sleek and calming Canyon Ranch Spa will be a new standard for relaxation. See this exciting fleet-wide transformation for yourself! Watch Oceania's short video below for a glimpse into a ship rejuvenation so sweeping, you will find it positively unimaginable to resist their welcoming embrace. To learn more or be the first to experience OceaniaNEXT and their better-than-new ships, connect with a CruiseInsider expert at 1 (877) 734-6858.